Homepage / sony / This information Reveals Sony's Preparing for Xperia XZ3 Premium? This information Reveals Sony’s Preparing for Xperia XZ3 Premium? 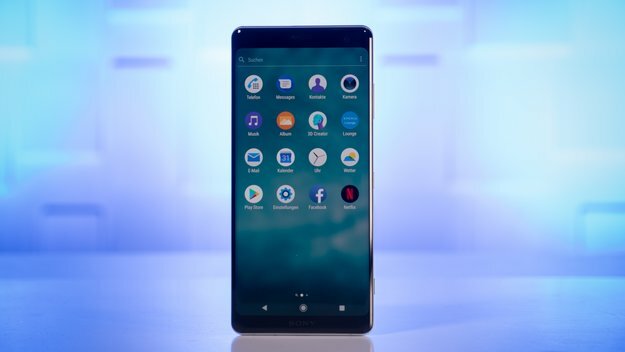 Latest reports mention that Sony is currently busy to work on its latest flagship smartphone, Sony Xperia XZ3. It is estimated, this Japanese technology giant will announce the presence of these smartphones at the upcoming IFA 2018 event in Berlin. In fact, previously suspected Xperia XZ3 smartphone has been seen in GFXBench with model number H8416. And recently, a device that has the H8616 model number has emerged as UAProf from Sony’s official website. Revealed, the smartphone supports a resolution of 3840 x 1,920 pixels with 18: 9 aspect ratio. Of course, the resolution owned by the H8616 model number does not match that of the Xperia XZ2 Premium, which is 4K 4,320 x 2,160 pixels. Another thing that is also found on the H8616 smartphone is Android support P aka Android 9.0. Unfortunately, no other information can be revealed. However, it is estimated that the device with the H8616 model number will come with Snapdragon 845 chipset, 6 GB RAM and 128 GB of internal storage. Other support is a dual-camera rear 19 MP + 12 MP and front camera 13 MP. Until this writing is made, there is no confirmation whether the device with the H8616 model number will come on the market as Xperia XZ3 Premium or not. There is the possibility that Sony is completely sealed all information about the device to be a surprise when it launches later. At the IFA 2018 in Berlin, in addition to introducing Xperia XZ3, Sony rumored will also introduce Xperia XZ3 Compact. While the launch of Xperia XZ3 Premium is expected to take place in November 2018. So, we wait for this Sony breakthrough.